Oh how I love candy. It is definitely my weak spot when it comes to trying to live a healthy life. 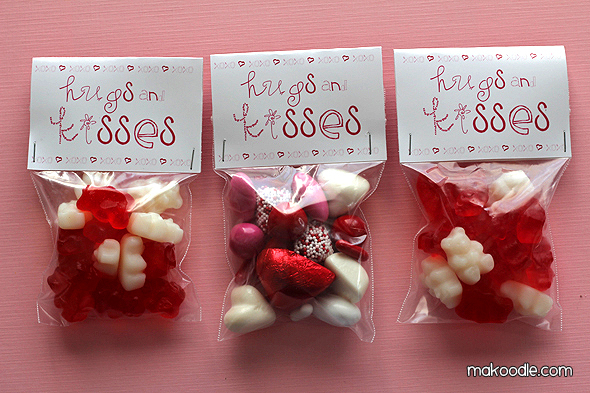 Not only is candy delicious, it is so dang cute! So many different shapes, sizes, colors, and textures. 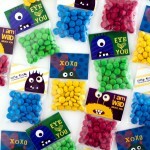 So, come holiday time – I’m all over the candy fun. 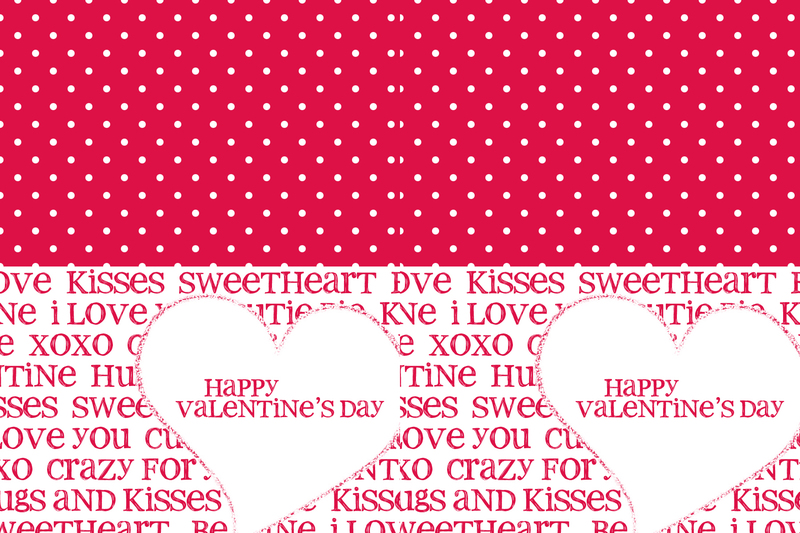 For Valentine’s day I think it is fun to make your own Valentine’s. 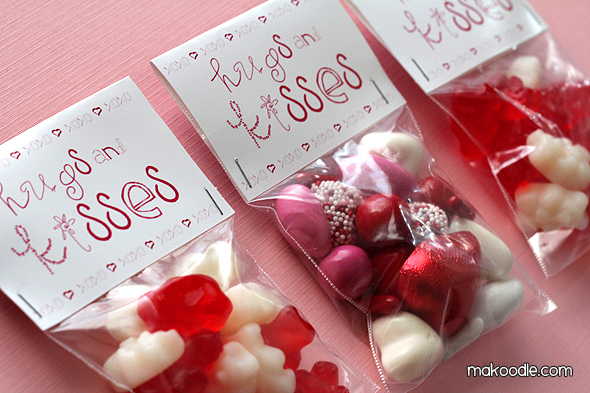 This DIY Valentine idea is so simple. 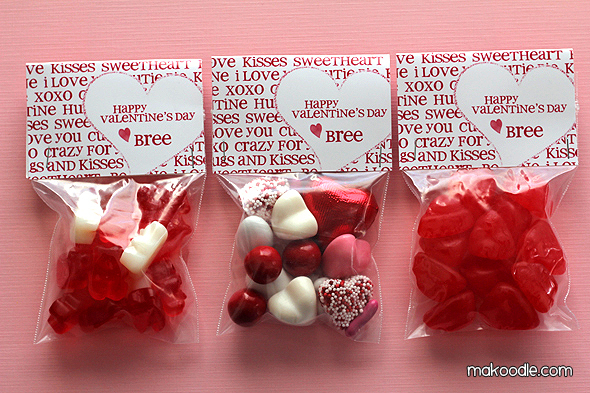 Select your favorite candy Valentine Candy (shop now at Candy Crate) , package it in a simple Ziploc bag, and add a cute free printable bag topper. 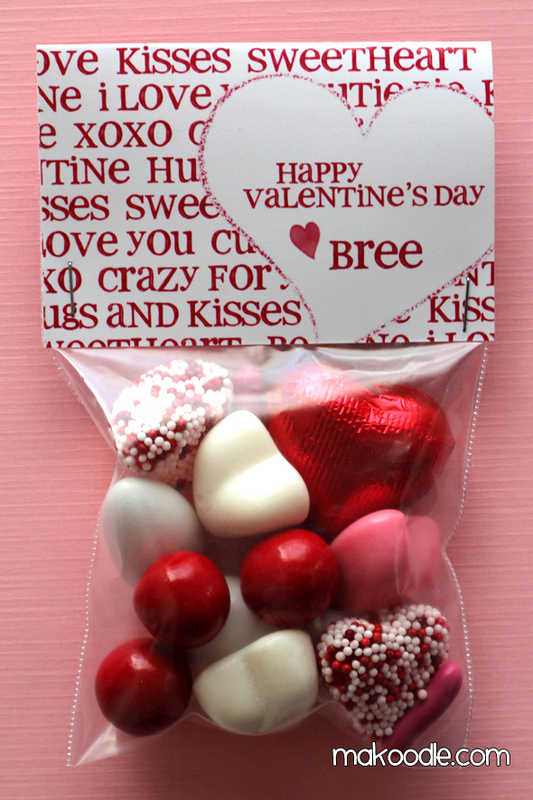 You can print your treat bag topper printed at home using an inkjet or color laser printer on card stock or send them to a photo printer. I provided downloads for both types of print jobs. 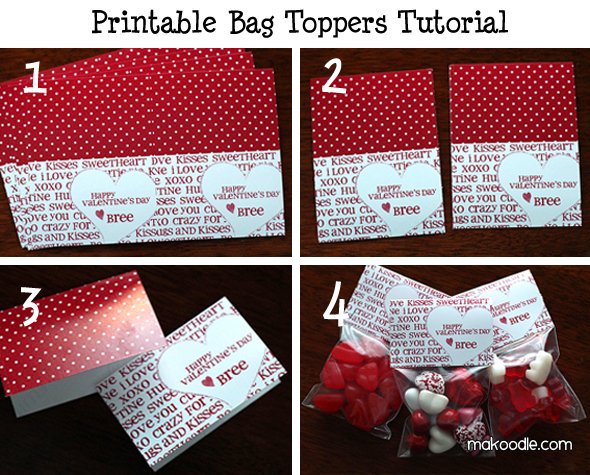 May favorite way to print them is at a photo printer and thought it might be helpful to provide a quick tutorial on how to put together your treat bag topper that is printed at the photo printer. Print 4×6 sized images are your favorite photo printer. I usually go to Costco, but another good option is Shutterfly . The benefit of Shutterfly is the prints are mailed to you and you don’t have to worry about hauling the kids somewhere. Cut 4×6 prints in half. 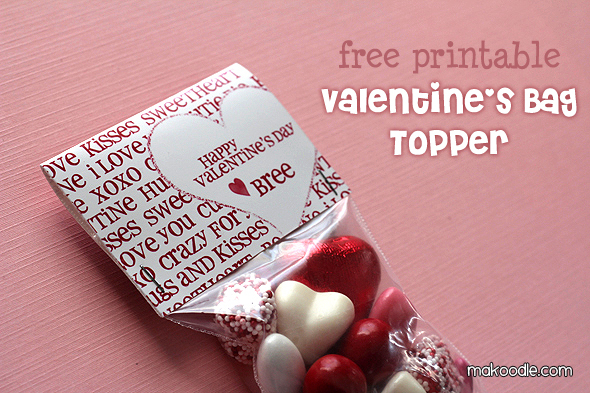 Each 4×6 print will make 2 bag toppers. Fold bag toppers in half. 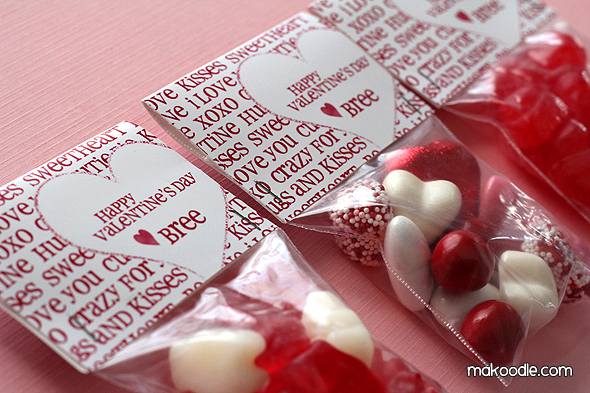 Staple to top of 3″ x 4″ Ziploc jewelry bags filled with your favorite Valentine’s candy. There are two different designs and two different downloads for each design. The PDF download can be printed on an inkjet or color laser printer on card stock. The 4×6 download can be printed at your favorite photo printer. When I am creating bag toppers, I like to print them with a photo printer (usually Costco or Shutterfly ) because the colors and vibrant, the paper is thick, and you get a nice finish. This is such a super cute idea! Thanks for sharing! Came over from the Making the World Cuter party. 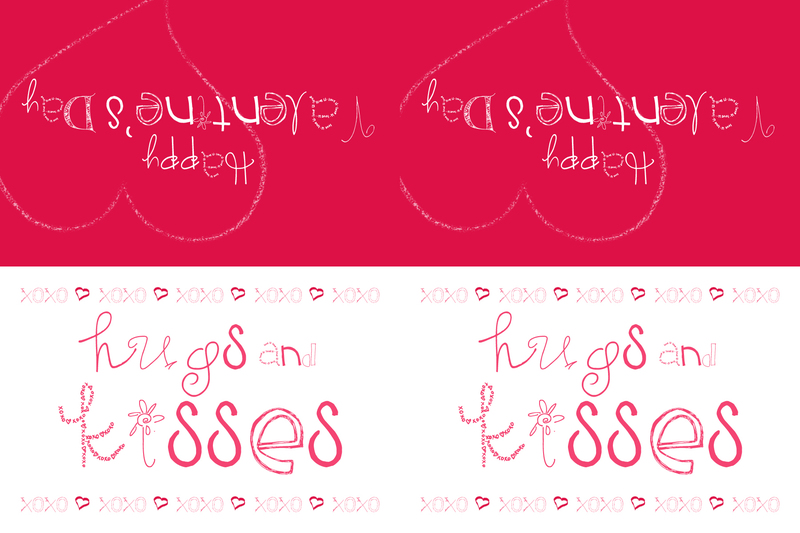 very very cute printables! 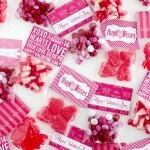 I love them and pinned them – hope it draws some more admirers to your great site! These are super cute! 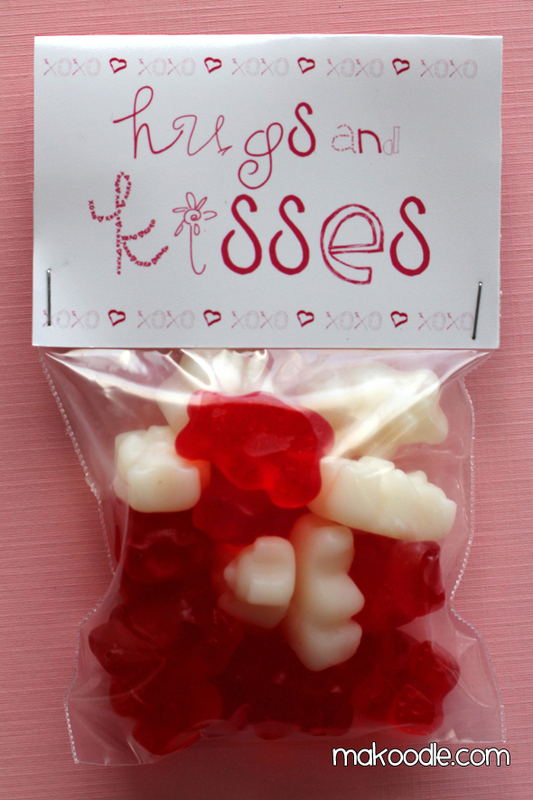 I’ve seen a bunch of printables for Valentine’s, but this one is sophisticated enough for the adults too. Love it! Stopping by from the Whipperberry link party. TT&J sent me this way… Loved the toppers and thanks so much for sharing them! These are just adorable! Thanks so much for sharing. I TOTALLY love this! I’d LOVE to have you link up at Overflowing with Creativity #6 —it just started!!! Thank you so much for sharing these super cute printables! I’m going to use them for my daughters class party this year. SO cute!! Thanks for sharing! I’ve pinned this to my printables board and I’m your newest FB follower! I would love for you to come link up at my weekly party going on right now “Thursdays are YOUR Days”!! I’m your newest follower! 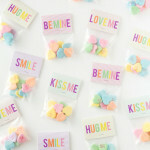 I love your cute blog!! Love EVERYTHING on here. Keep them coming. 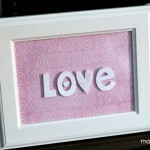 I was wondering if there was a way to add <3 & my daughter's name (Emma Claire) to this? I LOVE this idea!!!! 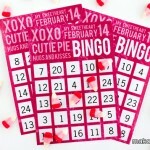 I'm also using the valentines Bingo cards! Love all your stuff!!! Thanks so much for sharing! 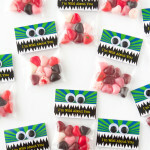 I can’t wait to make some cute treat bags with them!!! Thank you so much for these. I actually had them printed at Costco and they are super cute! Thank you for putting in the directions for printing them as photos. Thank you, Thank you, Thank you! Thank you! These are so cute! So grateful to you for sharing for those of us (okay me) who wait until the last minute. I got them printed at Costco on glossy 4×6 photo paper. I saved printing time, paper and ink. I easily added my name (I’m giving them my to students. I teach fourth grade) and my son’s names (sending them to their preschool) on PicMonkey.com. Thank you so much for these!